So, here's a fun little tidbit: Sweden's parental leave policy, which requires the government to provide 16 months of paid leave for both parents combined, will soon require that fathers take at least three of these months (currently, the minimum is two). This means that while fathers can choose not to take the leave provided to them, the mothers of their children will not be able to take it in their place. The goal of this law is to create a more equal division of childcare in a country where 75 percent of men but only 40 percent of women work full-time. Swedish social security minister Annika Strandhäll told Radio Sweden that the new policy “is something we’ve really looked forward to. We know that this is a key issue towards attaining greater [gender] equality." Some might argue that dictating how much time each parent takes off is paternalistic (no pun intended), while others have brought up how the pay gap may make this well-intentioned reform unrealistic. "Swedish men still earn more than women in general, and as a result men take more of an economic hit by staying home with their children," Agence France-Presse in Stockholm points out. Nevertheless, we can probably agree that Sweden is doing a better job than the U.S. on this front. The U.S.'s Family and Medical Leave Act requires companies to provide employees with a mere 12 weeks of unpaid leave to take care of children or sick family members, and this only applies to full-time workers at companies with 50 or more employees. And forget about paid leave: Only 12 percent of Americans get it. Meanwhile, 98 countries included in a U.N. Institute of Labor report offer 14 weeks or more of paid family leave, and only two other countries besides the U.S. — Papua New Guinea and Oman — require no paid maternity leave whatsoever. Our neighbor up north provides 15 weeks of paid leave for pregnant or new mothers, plus 35 additional weeks of parental leave that can be split between mothers and fathers however they choose, with payment of up to 80 percent of eligible parents' wages. Canada provides the same leave to biological and adoptive couples. Croatia provides 208 days of paid maternity leave in addition to 90 days of paid leave per parent for each child. Italy requires employers to provide mothers with leave two months prior to and three months after pregnancy, during which the government provides 80 percent of the parent's salary. 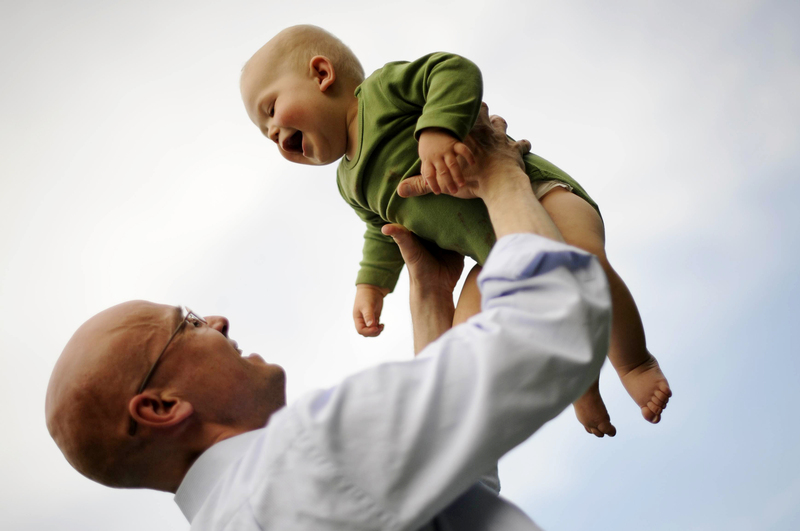 Both parents in Germany are entitled to 12 to 14 months of leave — that's at least a year! — with 65 percent of the wages they received before their child's birth date paid, and then another two years spread as they choose throughout the first eight years of each child's life. Though Spain's paid leave — 16 weeks for mothers and 30 days for fathers — leaves much to be desired, the country requires that both parents get three years of unpaid leave. If I were a soon-to-be parent in the U.S., I'd be booking my ticket to one of these countries right this moment.